LIDL can be found on Perrots Road, a 0.23 mile distance north of the centre of Haverfordwest (nearby Tabernacle Congregational Church and Saint Martins Church). The store is perfectly located to serve people from the locales of Merlin's Bridge, Albert Town, Johnston, Keeston, Withybush, Haverfordwest and Narberth. Business times for today (Thursday) are 8:00 am - 10:00 pm. This page will supply you with all the information you need on LIDL Haverfordwest, including the working hours, store address info, customer rating and more info. LIDL is ideally positioned near the crossroads of Bridge Meadow Road, Parrots Road, Northgate and Thomas Perry Way, in Haverfordwest, Dyfed. Just a 1 minute trip from Thomas Perry Way, Northgate or Bridge Meadow Road; a 4 minute drive from Picton Place/Victoria Place, A40, Cartlett Road or Freemenas Way; or a 7 minute trip from Narberth Road, Eastern Bypass, Dredgman Hill and Sydney Rees Way. The postcode for your GPS devices is: SA61 2HD. Multiple buses run to Perrot's Road/Lidl and Haverfordwest Bus Station. The most convenient routes are 301, 302, 308, 311, 313, 315, 342, 343, 344, 349, 411, X49, TrawsCymru T5 and National Express. The local train stops at Haverfordwest Station (3050 ft away). Arrive here by the line: Arriva Trains Wales. Within a couple miles there is Pembrokeshire College, Bridge Meadow Retail Estate, Withybush Retail Park, Fenton Community Primary School, Portfield School, Tasker Milward School, Withybush General Hospital and Riverside Quay Shopping Centre. Including this store, LIDL now operates 1 branch in Haverfordwest, Dyfed. 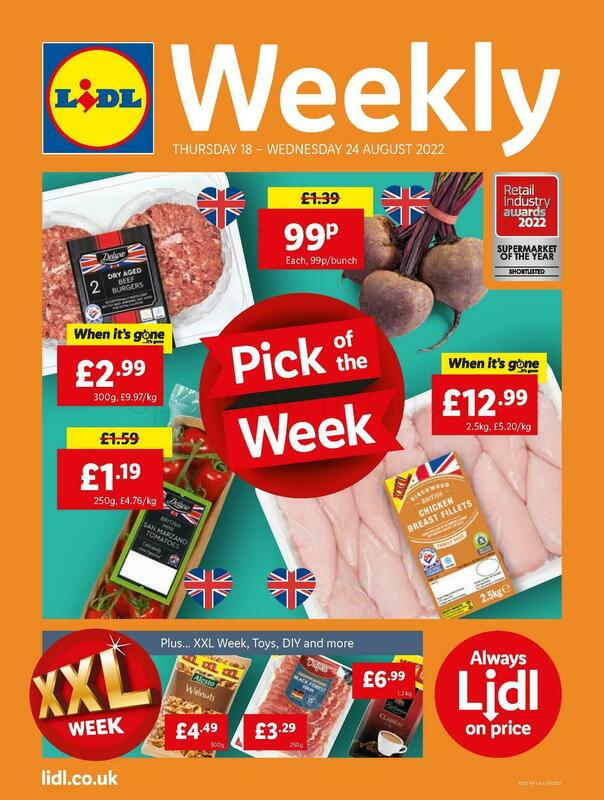 Go to the following link for a complete directory of LIDL locations near Haverfordwest. Please be advised that public holidays may result in modifications to the regular opening times for LIDL in Haverfordwest. For the whole of 2019 these updates apply to Xmas, Boxing Day, Easter Monday or Spring Bank Holiday. The quickest way to get verified details about holiday operating hours for LIDL Haverfordwest is to visit the official site, or call the customer care line at 0800 977 7766. The Opening Times in the UK team's desire is to deliver you with the most up-to-date information. Should you find mistakes in the place of business address details or store hours for LIDL in Haverfordwest, please inform us by making use of the report a problem form. Please review LIDL. Your feedback is encouraged! Voice your review in the box below.